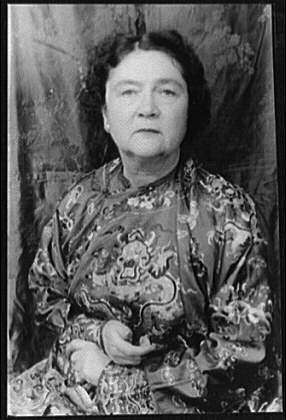 Born in the north but matured as a writer in Florida, Marjorie Kinnan Rawlings chronicalled rural Florida life by immersing herself in the lives of the farmers, poachers, hunters and moonshiners of Cross Creek, Florida, southeast of Gainesville, in the Ocala National Forest. Several novels emerged from this experience, which began in 1928, when Charles and Marjorie Rawlings, both employed as writers in Rochester, N.Y., decided to buy a 72-acre farm in rural Florida. Although Marjorie published magazine stories based on her Florida experiences, it took close collaboration with her editor, Maxwell Perkins -- who was also editor of F. Scott Fitzgerald, Ernest Hemingway and Thomas Wolfe -- to learn how to structure and frame the stories into full novels. She realized she needed to more fully experience lives within the communities she wanted to capture, moved in with a Cracker family she had befriended and participated as they stalked deer, hunted squirrels, dynamited mullet, shot and ate limpkin, and plotted over how to handle a cousin who betrayed the family moonshiner. Her novels about her Cracker experiences were South Moon Under, Golden Apples, The Yearling and Cross Creek. She won the 1939 Pulitzer Prize for The Yearling, then was embroiled in a five-year lawsuit by a woman who charged her privacy was invaded by a portrayal in Cross Creek. Rawlings lost the suit but was ordered to pay just $1 plus court costs. The lawsuit affected her writing production, as she turned away from the Cross Creek community and struggled to finish a Michigan-based novel, The Sojourner, during the 1940s. She died in 1953 in St. Augustine after suffering an aneurysm and is buried near Island Grove.